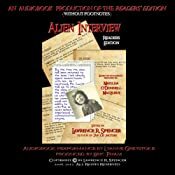 “Hereinafter is an overview and summary of my personal recollections of “conversations” with the alien craft pilot, whom I came to know by the identity of “Airl”. 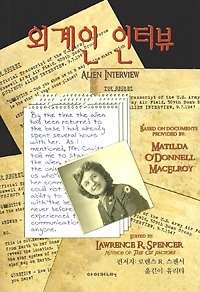 I feel that it is my duty at this time, in the best interest of the citizens of Earth, to reveal what I have learned from my interaction with “Airl” during those six weeks, on the anniversary of her “death” or departure sixty years ago. Although I served as a nurse in the Army Air Force, I am not a pilot or technician. Further, I did not have any direct contact with the space craft or other materials recovered from the crash site at that time, or thereafter. To that degree it must be taken into consideration that my understanding of the communications I had with ” Airl” are based on my own subjective ability to interpret the meaning of the thoughts and mental images I was able to perceive. Our communication did not consist of “spoken language”, in the conventional sense. Indeed, the “body” of the alien had no “mouth” through which to speak. Our communication was by telepathy. At first, I could not understand Airl very clearly. I could perceive images, emotions and impressions, but it was difficult for me to express these verbally. Once Airl learned the English language, she was able to focus her thoughts more precisely using symbols and meanings of words I could understand. Learning the English language was done as a favor to me. It was more for my own benefit than hers. By the end of our interview sessions, and increasingly since then, I have become more comfortable with telepathic communication. I have become more adept at understanding Airl’s thoughts as though they are my own. Somehow, her thoughts become my thoughts. Her emotions are my emotions. However, this is limited by her willingness and intention to share her own, personal universe with me. She is able to be selective about what communication I am allowed to receive from her. Likewise, her experience, training, education, relationships and purposes are uniquely her own. The Domain is a race or civilization of which Airl, the alien I interviewed, is an officer, pilot and engineer serving in The Domain Expeditionary Force. The symbol represents the origin and unlimited boundary of the known universe, united and integrated into a vast civilization under the control of The Domain. Airl is currently stationed at a base in the asteroid belt which she refers to as a “space station” in the solar system of Earth. First and foremost, Airl is herself. 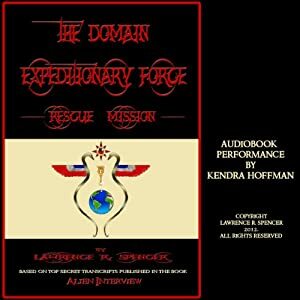 Secondarily, she voluntarily serves as an Officer, Pilot and Engineer in The Domain Expeditionary Force. In that capacity she has duties and responsibilities, but she is at leave to come and go as she pleases also. Please accept this material and make it known to as many people as possible. I repeat that it is not my intention to endanger your life with the possession of this material, nor do I really expect you to believe any of it either. However, I do sense that you can appreciate the value that such knowledge may have to those who are willing and able to face the reality of it. It is vital that people understand the devastating consequences to our spiritual and physical survival if we fail to take effective action to undo the long-standing and pervasive effects of alien intervention on Earth. Perhaps the information in these documents will serve as a stepping stone to a better future for Mankind. I hope that you can be more clever, creative and courageous in the distribution of this information than I have been. May The Gods Bless You and Keep You. 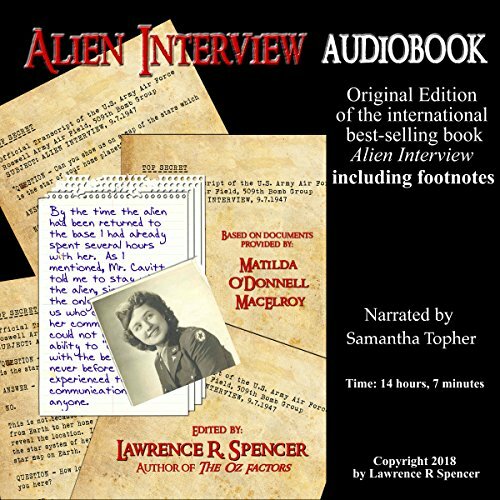 — Excerpt from a letter from Nurse MacElroy, received together with the Top Secret military transcripts published in the book ALIEN INTERVIEW. The following document is a copy of an FBI Memorandum, released through the Freedom of Information Act, wherein an eye witness describes the occupants of a “flying saucer” recovered in New Mexico: “I refer to the alien as “her”. Actually, the being was not sexual in any way, either physiologically or psychologically. “She” did have a rather strong, feminine presence and demeanor. However, in terms of physiology, the being was “asexual” and had no internal or external reproductive organs. Her body was more like the body of a “doll” or “robot”. There were no internal “organs”, as the body was not constructed of biological cells. It did have a kind of “circuit” system or electrical nervous system that ran throughout the body, but I could not understand how it worked. In stature and appearance the body was quite short and petite. About 40 inches tall. The head was disproportionately large, relative to arms, legs and torso, which where thin. There were three “fingers” on each of two” hands” and “feet” which were somewhat prehensile. [i] (Footnote) The head had no operational “nose” or “mouth” or “ears”. I understood that a space officer does not need these as space has no atmosphere to conduct sound. Therefore, sound related sensory organs are not built into the body. Nor does the body need to consume food, hence, the absence of a mouth. The eyes were quite large. I was never able to determine the exact degree of visual acuity of which the eyes were capable, but I observed that her sense of sight must have been extremely acute. I think the lenses of the eyes, which were very dark and opaque, may also have been able to detect waves or particles beyond the visual spectrum of light. [ii] (Footnote) I suspect that this may have included the full range of the electromagnetic spectrum, [iii] (Footnote) or more, but I do not know this for sure. When the being looked at me her gaze seemed to penetrate right through me, as though she had “x-ray vision”. [iv] (Footnote) I found this a little embarrassing, at first, until I realized that she had no sexual intentions. In fact, I don’t think she ever even had the thought that I was male or female. It became very obvious after a short time with the being that her body did not require oxygen, food or water or any other external source of nutrition or energy. As I learned later, this being supplied her own “energy”, which animated and operated the body. It seemed a little bit eerie at first, but I got used to the idea. It’s really a very, very simple body. There is not much to it, compared to our own bodies. Airl explained to me that it was not mechanical, like a robot, nor was it biological. It is animated directly by her as a spiritual being. Technically, from a medical standpoint, I would say that Airl’s body could not even be called “alive”. Her “doll” body is not a biological life form, [v] (Footnote) with cells, and so forth. “The word is derived from the Latin term prehendere, meaning “to grasp.” It is the quality of an organ that has adapted for grasping or holding. Examples of prehensile body parts include the tails of New World monkeys and opossums, the trunks of elephants, the tongues of giraffes, the lips of horses and the proboscides of tapir. The hands of primates are all prehensile to varying degrees, and many species (even a few humans) have prehensile feet as well. The claws of cats are also prehensile. Many extant lizards have prehensile tails (geckos, chameleons, and a species of skink). The fossil record shows prehensile tails in lizards (Simiosauria) going back many million years to the Triassic period . The visible spectrum (or sometimes called the optical spectrum) is the portion of the electromagnetic spectrum that is visible to (can be detected by) the human eye. Electromagnetic radiation in this range of wavelengths is called visible light or simply light. A typical human eye will respond to wavelengths in air from about 380 to 750 nm. The corresponding wavelengths in water and other media are reduced by a factor equal to the refractive index. In terms of frequency, this corresponds to a band in the vicinity of 400-790 terahertz. A light-adapted eye generally has its maximum sensitivity at around 555 nm (540 THz), in the green region of the optical spectrum. The spectrum does not, however, contain all the corlors that the human eyes and brain can distinguish. Brown, pink, and magenta are absent, for example, because they need a mix of multiple wavelengths, preferably shades of red. Wavelengths visible to the eye also pass through the “optical window”, the region of the electromagnetic spectrum which passes largely unattenuated through the Earth’s atmosphere (although blue light is scattered more than red light, which is the reason the sky is blue). The response of the human eye is defined by subjective testing, but the atmospheric windows are defined by physical measurement. The “visible window” is so called because it overlaps the human visible response spectrum; the near infrared windows lie just out of human response window, and the Medium Wavelength and Long Wavelength or Far Infrared are far beyond the human response region. “The electromagnetic spectrum is the range of all possible electromagnetic radiation. The “electromagnetic spectrum” (usually just spectrum) of an object is the characteristic distribution of electromagnetic radiation from that object. [iv] “… her gaze seemed to penetrate right through me, as though she had “x-ray vision”. “The word “organism” may broadly be defined as an assembly of molecules that function as a more or less stable whole and has the properties of life. However, many sources, lexical and scientific, add conditions that are problematic to defining the word. The Oxford English Dictionary defines an organism as “[an] individual animal, plant, or single-celled life form”. This definition problematically excludes non-animal and plant multi-cellular life forms such as some fungi and protista. Less controversially, perhaps, it excludes viruses and theoretically-possible man-made non-organic life forms. “The terms gravitation and gravity are mostly interchangeable in everyday use, but in scientific usage a distinction may be made. “Gravitation” is a general term describing the attractive influence that all objects with mass exert on each other, while “gravity” specifically refers to a force that is supposed in some theories (such as Newton’s) to be the cause of this attraction. By contrast, in general relativity gravitation is due to space-time curvatures that cause inertially moving objects to accelerate towards each other. “The space craft is operated by IS-BEs who use “doll bodies” in much the same way that an actor wears a mask and costume. It is a like a mechanical tool through which to operate in the physical world. She, as well as all of the other IS-BEs of the officer class and their superiors, inhabit these “doll bodies” when they are on duty in space. When they are not on duty, they “leave” the body and operate, think, communicate, travel, and exist without the use of a body. The bodies are constructed of synthetic materials, including a very sensitive electrical nervous system, to which each IS-BE adjusts themselves or “tune in” to an electronic wavelength that is matched uniquely to the wavelength or frequency emitted by each IS-BE. Each IS-BE is capable of creating a unique wave frequency which identifies them, much like a radio signal frequency. This serves, in part, as identification like a finger print. The doll body acts like a radio receiver for the IS-BE. No two frequencies or doll bodies are exactly the same.